A technology company specializing in Internet-related services and products, this company has over 78 offices in more than 50 countries. One of the most recent offices added to the group will be officially unveiled this year in August 2018. This unique 21,272 square feet, fourteenth floor office space is located in Taipei, Taiwan. SL+A Taipei took the lead with this Design & Construction project, with a team of specialists expertly combining elements of nature with a nod to the technological prowess of to transform the workspace into something unexpected. An approachable waiting area with neutral hues keeps the design slick, with patterned grey wall decorations adding an illusion of raw texture. 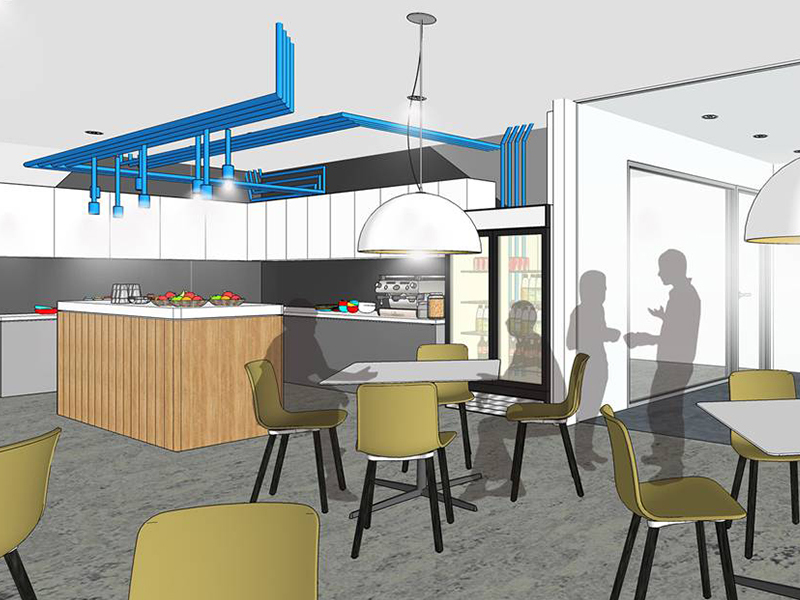 The waiting area flows into the shared Micro kitchen, where people can mingle and chat in a casual space. The striking feature wall built into the kitchen area is a true standout of the office, this modern take on the trend of “living walls”, makes it appropriate for a work environment. Complete with circuit inspired graphic print and moss art, the green moss plays a dual role by providing a fresh natural element while offering soft texture to give the space depth and personality. As with the company’s requirement to accommodate many meeting rooms in each office, the team took this opportunity to tie-in traditional Chinese time structure methods for the naming and design of each meeting room. This attention to detail can be found in the “Starlight” meeting room, where a custom film was applied onto the glass wall to represent the moon. Acoustic panels were arranged to illustrate twinkling stars, and decorative down lighting illuminates the work surface while cove lighting above creates a feeling of the night sky. The large Tech Talk conference room, aptly named “Daybreak” for the transition from night to day, consists of neutral finishes and wavy white acoustic ceiling baffle that demonstrates rays of light streaming through a window in the early hours of the morning. White boards shaped like mobile phone displays is a fun take on flair during a presentations or brainstorming sessions. Every collaborative meeting space is finished with neutral carpeting and follows the room theme with whimsical lighting, capturing various elements of nature. The rooms also have different color combinations of 3D acoustic panels to represent a specific time of the day and mark the passage of time. 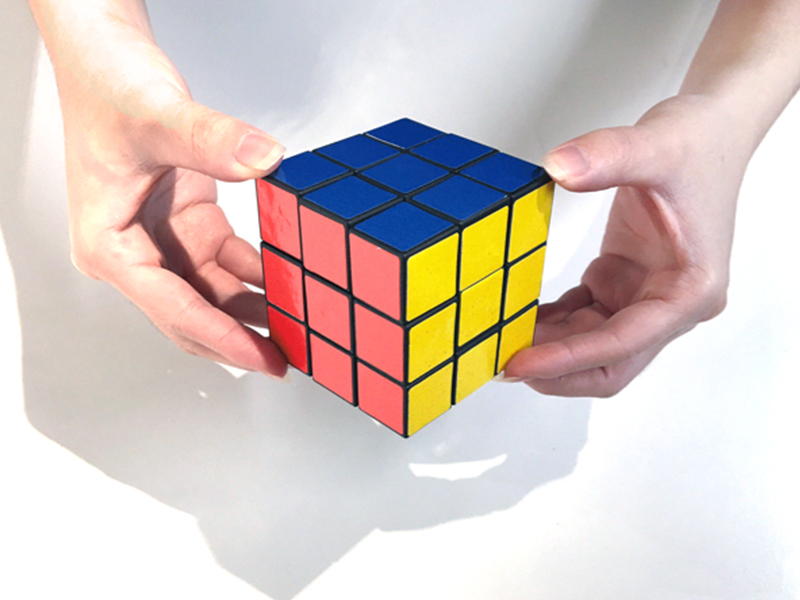 The Rubik’s cube idea factors into each aspect of space planning to create communal areas that can result in unexpected interactions. 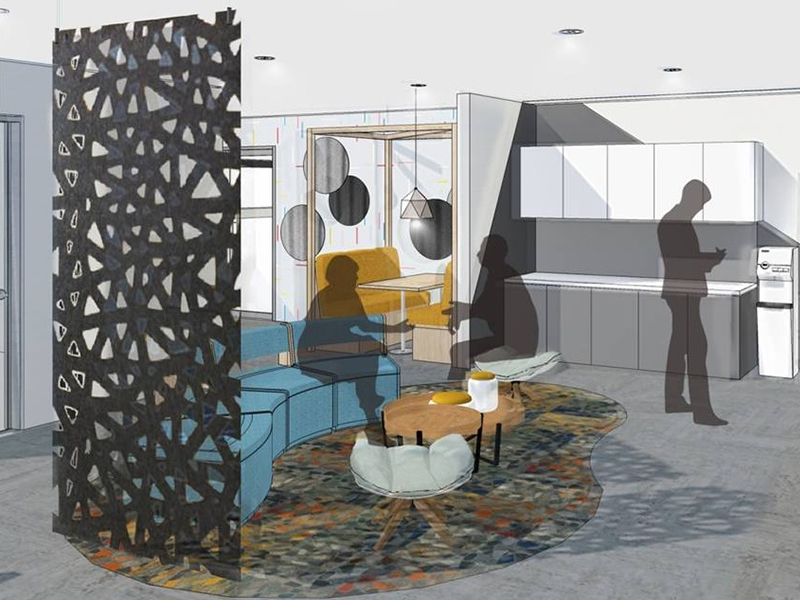 This new office will pave the way for the next generation of this global high tech company employees to develop services and products that improves the lives of as many people as possible.